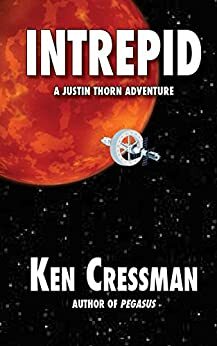 Intrepid continues to follow Justin Thorn as he struggles to make his way back to Earth on a damaged ship while fighting many of space’s deadly hazards. What were some themes you felt you had to carry over from Pegasus and what were some things you wanted to do differently in this book? I wanted to expand the universe in which the story takes place by sending the crew to Mars this time instead of the moon. In Pegasus they could at least see Earth, but now they’re millions of miles from home in a crippled ship, so the perils are much greater. It increases the level of danger and makes the stakes so much higher. We’d already established in the first book that there is a scientific outpost on Mars and that Thorn’s former girlfriend is a scientist there. What would he do if he found out that she was in danger? How far would he go to try and save her? Not only is she in danger, he’s risking his life and his beloved ship to try and rescue her. There is a rich backstory in this book, wars and dissolution have rearranged much of old Earth. How did you set about developing the backstory for this book? Many stories set in the future feature a world that’s bleak and depressing, with people struggling to survive in a world that’s falling apart. Often the world has become a kind of a junkyard. I wanted to create a future that’s more hopeful. Even though there have been series of conflicts that brought us to this point, it’s a world where life has become much simpler. With large cities gone and the population significantly smaller, Earth has begun to repair itself, and the air and water have become less polluted. I feel it’s a more hopeful vision of the future, but not because technology has saved us, but because we’ve let nature take its course. When developing a series, readers often know that the main character is immune from deadly danger. How did you solve this problem in your book to keep the tension high? I knew that in order to make the danger feel real, some of the characters had to perish. I didn’t want the reader to get too comfortable with anyone because at any moment any character could be gone. Thorn himself is put in real danger several times, and I think there’s always the possibility that he could die as well, and someone else could take over as pilot and captain of his ship. 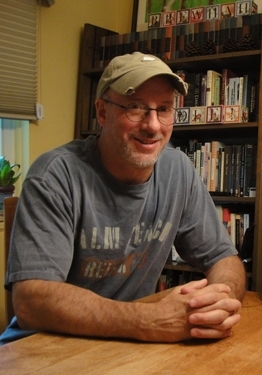 Will you continue the Justin Thorn series with a third and possibly fourth book? If so where do you want those books to take Justin? This book was originally intended to be the third in the series. In the second one, Thorn was to come into possession of something that a lot of people want and are trying to acquire. It was supposed to be one long chase as Thorn tries to figure out why these people want this thing and how to stop them. Unfortunately, I didn’t what that thing was, so I decided to do the third book instead. It wasn’t until I was halfway through Intrepid that I realized what the object was that everyone was after, so the next book continues the story that’s set up in this one. And the third book then sets up a fourth. All contact with the scientific outpost on Mars has been lost. The Federal Space Administration is sending the spaceship Intrepid on a desperate rescue mission, and they’ve commandeered Captain Justin Thorn’s ship Pegasus to use as a shuttle to the surface. But when they arrive on Mars, things go horribly wrong and the ship is severly damaged. Now millions of miles from home, the survivors must find a way to get themselves and their crippled ship back to Earth before their food and time run out. Presented with a science-based and fantastical plot line, fascinating characters, and a world of artificial intelligence, J Elizaga does a wonderful job in writing about science entities in this riveting book Penchant Revealed. 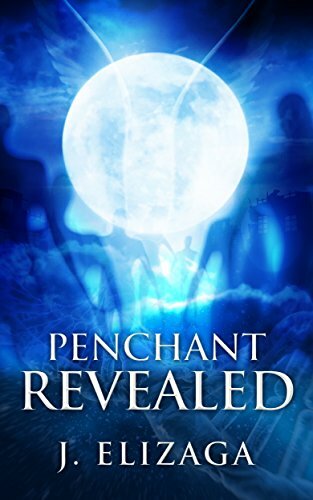 As a spellbinding sci-fi, Elizaga stuns readers with creative writing and an imaginative story line in the recent eBook Penchant Revealed. A book full of secrecy, discovery, and supernatural ability, this book is ideal for anyone who loves a good sci-fi! As a reader, we see how the author intertwines artificial intelligence with humans and other worldly beings that captivates readers and keeps them hooked right to the end. Right from the very beginning, we say hello to Miles Penchant, the protagonist of the book. From then, we are constantly questioning Miles’ character. “What is Miles Penchant’s secret, and why is the devil pursuing his wife?” The reader is left hooked by these secrets and will read on to find out the truth before Miles, his wife, and what is going on in the world around them. Secrecy and discovery are two key themes that are paramount throughout the book. Without giving too much away, worlds far from ours are constantly in battle to unravel the truths. Hell’s mastermind, Lucifer, also referred to as the devil plays a vital role in obtaining the reader’s attention, as well as keeping the plot line strong until the end of the book. Elizaga’s attempt at intertwining a world of humans and AI is ideal for any sci-fi fans that enjoys a book that is unlike any other. J Elizaga demonstrates a clear focus and powerful imagination in this creation of fictional fantasy. 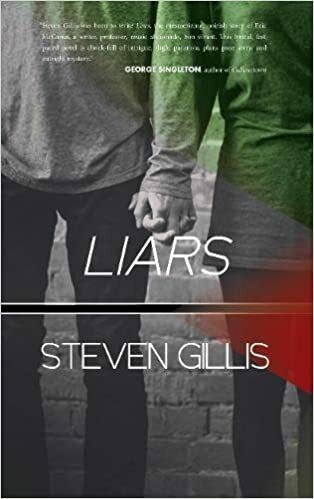 I can appreciate the author’s creativity, and I believe that the author has created a strong narrative, and provides the reader with intriguing characters and a good plot line. “We advise you to take extra care of her [your wife]. She will be haunted by what she experienced. But she will be less fearful knowing she is not alone.” This eerie excerpt from the book clearly highlights key themes such as isolation, marriage, experiences, discovery, and fear. What more could you possibly want in a good book? A triumphant, intelligent and artistic piece of writing brought to you by the author, J Elizaga. A noble attempt at intertwining the real world with multiple dimensions including hell, ancient aliens, and archangels. I would highly recommend this book to anyone who takes an interest in artificial intelligence, secrecy, and a longing for discovery and resolution. 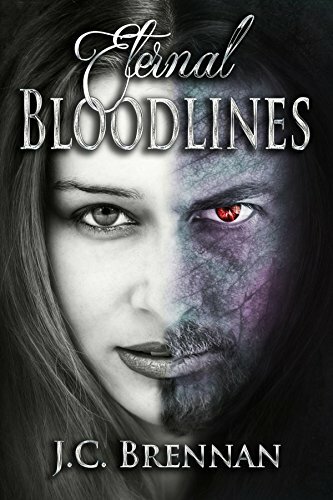 In Eternal Bloodlines by J.C. Brennan, Amanda Rain Holston is a young woman living a very boring life. Her parents have been dead for five years and lives completely alone. She works as a waitress and finds it hard to even get up in the morning because of her tedious existence. A point that is captured perfectly by the picture frames she has with stock images of people in them. The one thing she does that she actually enjoys is going on long walks. It is on one of these walks that she discovers a ghastly sight: a dead body in the snow. This discovery changes everything and Amanda’s life will never be the same. The book is set in Skidway, Michigan. Amanda has spent her life in the town and expects to grow old and die there, probably from boredom. She longs to escape the confines of the small town. The only good thing she has there is her best friend, Jessica. The paranormal plot of this book has promise. It starts as a standard tale of a fantasy come true but with some quirky additions that turn this piece into a unique supernatural thriller. It definitely gets interesting when Amanda meets Mihnea. They bond immediately and their love story is sweet. The story loses me a bit with the attempts at making the dialogue fit a different time. It does not always work, and sometimes seems stilted, but it’s saved by the intriguing relationship that develops between Amanda and Mihnea. I really enjoyed this book, but I found that there were some editing mistakes, to the point where I was a bit distracted; having to go back and reread some sections to make sure I understood them correctly. The book did pick up toward the end. The story became so interesting that I was able to overlook the mistakes a bit more easily. In my opinion, all the book needs is a good editor and I’ll be begging for more. I wanted so badly to focus on the unique and suspenseful story, because under the typos is a fresh take on the vampire genre, one that puts its methodically developed characters into a deadly and captivating world. Project Bodi: Awaken the Power of Insight by Hosein Kouros-Mehr is a sci-fi fiction book that goes into an alternate world of Google and its reign in 2030 and beyond. Although it’s a fictitious book, there are so many parts of it that relate to the world that we currently live in so reading this book was like looking into the future. A scary and not so distant future. 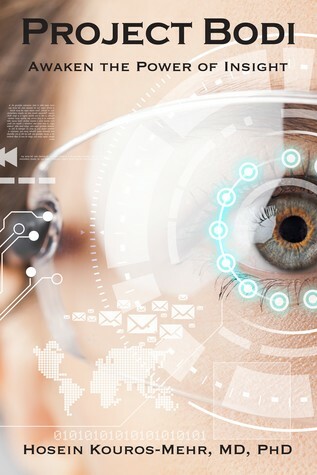 The book focuses on Google Health and the impact that artificial intelligence has on the future of work. This book took a bit for me to get my head around, but once I did, I devoured it. I love reading about alternate worlds and dystopian futures and although this book was a somewhat dystopian future, the similarities between what’s happening in our world are obvious. Artificial Intelligence is scary because we don’t know much about it as a species and yet continue to use it with reckless abandon and for me, messing with things that we don’t fully understand can only lead to trouble. How much of a role should artificial intelligence have within society? This book suggests that the way things are going, artificial intelligence should not only be expected but welcomed with open arms. However, as the story goes on, I felt more linked with Austin than I did with Beth. As much as I want to be hardworking and driven, my smartphone and social media is a constant and easy to access distraction from my work. Although I might have talent, it’s surely being squandered by my lack of dedication and focus to the task. It was refreshing to see this written in a non-condescending way as that is so often the case when people write about younger generations. I found myself reading this book with ease. Although the book switches between three different characters, including the CEO of Google, the language is easy to understand and easy to follow. As we are dealing with some interesting concepts throughout this book, it’s a huge bonus that the perspectives that are shown in the book are easy to understand and easy to read and are delivered with relaxed and concise language. I really liked the different perspectives that were shown throughout the book. It varies from the younger guy whose distracted yet shows promise, the senior worker whose given a mountain of a task with little room to fail and the CEO of the company that’s taking over the world. Despite these differences, the perspectives between them all show that there’s similarities there as well. The pressure to stay on top of your game in a world of never ending challenges and pressures. I liked the passages about subconscious. We often forget that our strongest tool is our mind and once we sharpen it, we can be unstoppable. I really enjoyed this book. It was an easy and eye opening read that showed me what the future will possibly look like. 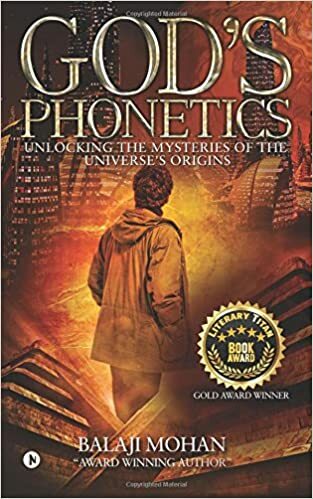 God’s Phonetics: Unlocking the Mysteries of the Universe’s Origins, written by Balaji Mohan, follows a teenage boy, Bavyesh, who has dreams of becoming a scientist and discovering a theory that will unlock the mystery of the universe’s origins. Mr. Kamal, Bavyesh’s teacher, is determined to help Bavyesh on his endeavors as they work together to uncover the secrets of the world. Through the linguistics of language, the duo will join forces on a mission that will have them flying through space and time. Will Bavyesh be able to uncover the secrets of the universe and pull off the experiment of the century? God’s Phonetics: Unlocking the Mysteries of the Universe’s Origins kick-starts the story with simple lessons between a student and teacher. It then quickly becomes a thrilling action novel with adventures into space and discoveries that could end mankind forever. We are also treated with tastes of Indian culture sprinkled throughout the story as traditional Indian meals and cultural practices are weaved into the plot. The essence of philosophy and spirituality is prominent throughout the book as Bavyesh reveals a deeper level of thinking regarding his ideas about life and the world. This is unlike other novels I’ve read about the beginning of the universe with its innovative ideologies that include phonetics as a major clue to the universe. At times the story almost felt non-fiction as it went to great lengths to describe galaxies and religion. God’s Phonetics: Unlocking the Mysteries of the Universe’s Originsis no ordinary story. It’s unpredictable, filled with twists and turns that you would least expect. At first, I thought the story was going to follow a traditional storyline, however, I was drawn in by its unusual events punctuated by a shocking ending. There is also a technology element to the novel with machines and inventions that are described so accurately that you could believe that they were real. There is a beautiful friendship between Mr. Kamal and Bavyesh as they bond together over their mutual interest in the wonders of the universe. I enjoyed learning about the two friends; watching the dynamic between them switch as the teacher becomes the student. It’s a reminder that we can learn from youth and their curious minds. Bavyesh’s parents, Neha and Kumar also have a relationship to be admired, beginning the novel with a family relationship that will put a smile on your face. The way the novel is written is almost poetic, as the author describes each moment with a beautiful simplicity. There are hints of symbolism trickled throughout the story, including theories on the number seven and Bavyesh’s name which means “Lord of the Worlds, Lord Shiva, Intelligent, and All-Knowing”. The plot pushes the reader to consider the universe and what other life may exist in the world beyond our own. I would rate this novel a 5/5 and would recommend this to anyone who enjoys a story that explores the philosophy of the universe whilst dabbling in a dash of action, friendship, and spirituality. There is no greater test of love than that which Chadwick and JaLana faced 11 years into their marriage. JaLana thought her marriage and life would be like any other couple attempting to live a life of faith in God. While they had met their fair share of troubles and setbacks in life, they were always united together. All of that was suddenly wiped away the morning JaLana saw her husband exiting the garage with another woman that had been living with them. The next day, Chadwick came forth about the affair he had been having for the past six months with the sister of a friend they both had allowed in their home. Stunned and shocked, JaLana had a choice to make. Her husband had made it clear that he didn’t want to be in a relationship with her anymore. He wanted a divorce. Twelve years later, the couple remains together. How did they do it? Why didn’t JaLana give up and give her husband the divorce he wanted? Learn how the love of Christ was able to touch both JaLana and her husband Chadwick Walsh. Discover how God’s truth came into the marriage, moving them both to humility enough to feel the burning love He had, and will always have for each and every one of His children. Chadwick and his wife have now teamed together to retell the story of one of the most vulnerable moments they have shared as a couple. They explain the steps they took to regain their marriage completely without any remaining residue. They have laid everything bare to bring the world their personal experience of adultery and how God led them through the fire to a marriage completely healed. In a completely new take on a book about adultery, you will read from both perspectives of husband and wife, how adultery had broken them both. They discuss the common pitfalls man and wife can face on the road to recovery and offer practical guidance for grieving couples who might know the same pain they have faced. 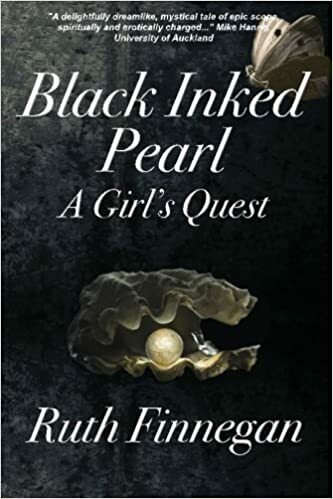 Black Inked Pearl follows Kate, a young Irish girl, as she searches for her lost lover. What was the initial idea behind this story and how did that transform as you were writing the novel? I say ‘dream’ as that is the nearest word I can get, vision perhaps they would have called in in the middle Ages. But that word’s a bit misleading. In two ways. First, it wasn’t exactly a dream in the sense of being, asleep more an experience in that liminal in-between state of being neither awake nor asleep but somehow fully both – the whole novel came in that somehow enchanted enspelled state ( I suppose you might call it ‘inspiration’). I planned nothing, but it was still a chapter a night, written down effortlessly (I don’t even remember doing it! or, by now, what the words were. it surprises me every time – so many times – I reread the book now). Second, ‘dream’ suggests something visual, But it was more a kind of very intense node of emotion, something very personal to me (in a metaphorical sort of way the whole book is kind of autobiographical – what serious novel is not? – and the second chapter about a small girl experiencing the magical world of Donegal – is directly so. Black Inked Pearl is told in a dreamlike, almost stream of consciousness, style of writing. Why did you want to tell the story in this style and what were the challenges? Well, it arose in dreams and the writing essential came from, and took place in, my unconscious – at least that is the only way I can understand and it. So the style is scarcely surprising, it was little under my deliberate control and almost not at all revised later. I didn’t know in what style I was writing – the process was almost unconscious – but when it was finished I saw (or rather heard when I read it aloud ih my inner ear as I always do with my writing)that it had the rhythms and sonorities of African and Irish story-telling (my mother was a wondrous story-binder) and that some literary giants (Joyce, Fulkner, Hopkins … many others) had written in similar styles. Poetry is mixed with prose – well in a way, as with its oral resonances (a subject on which I have written in academic contexts, in Oral Poetry for example), it is all poetry, some fully, some ore in a kind of blank verse: all unexpected by me! Also, the content. Part of what I learned as the story revealed itself to me was that the division between dream and reality is an elusive and perhaps non–existent one. Problems – well some of my readers have problems with it! Some object because they cannot abide what they see as ‘incorrect’ grammar orthography words, not what they learned in the first form at school – I appreciate that they have tried but think they miss the point (how do they cope with Shakespeare?). Others including my deeply wise best friend, get a bit lost in the plot from time to time, too full of Celtic mists said one. It’s too late now to amend that (and maybe it is just a necessary feature of the novel – mystic, mysterious – anyway) but I have tried to make things clearer, while not abandoning what has now has now become my signature style, in the related ‘Pearl of the Seas’ and, on the way, The helix pearl’ (the latter the same story but this time as told by the garrulouos ever-sprarklng laughing sea (a very different perspective but equally born in dreams). I wonder what is coming next ..
Oh yes, the unusual spellings were loved by the Garn Press, the lovely publishers, but at the same time gave the copy-editor real problems. Microsoft, can yoy believe it (the cheeky thing) kept automatically ‘correcting’ the ‘wrong’ spellings. In the end they got me to send a special list to add to their ‘glossary’ of all my new spellings and word and abbreviations etc. I thought that would be quick and easy – about fifty cases? Whew, no! They tell me, incredibly, that it was nearly two thousand! Don’t believe it! Ut they ear that’s true. Anyway, hey did a great job whatever. Kate is an enthralling and curious character. What were the driving ideals behind her characters development throughout the story? As I say it wasn’t conscious since it all came in dreams. So in a way no ‘driving ideas’. First as I said earlier is the understanding , that we may pretend or think we do, but that actually we do not really know the difference between reality and dreams. Given the way we have been brought up as children of the scientific revolution, this is an exceedingly difficult idea, is it not – but so important to try to accept, specially now as we become more aware of the lives, and, in a way, precious value of those with dementia. Perhaps it is only through literature and metaphor that we can eventually begin to grasp this. Second is the thought, revealed near the end, that it is and was indeed right as Kate did, to search for others and try to help them carry their burdens. But that in the end it isourselves we are responsible for, it is our own souls for which we have to answer before (whatever metaphor we prefer here) the last judgement throne. As Kate in the final chapters had to do. Also, after I had finished the book, I was inspired by the little butterfly that, unknown to me, the publishers had put, with the pearl and the jagged black, on the beautiful cover. ‘Butterfly’ in Greek –elsewhere too I think – is the same word and concept as for the soul, breath, spiritus, life: psyche (as in ‘psychology’, ‘psychiatry’). So the soul – figured as Kate, as every man – flies through the black ink print of the story and at the end settles down on the back cover, life fulfilled story told, with her wings folded. Kate’s discovery of herself at the end was also, I now see, a kind of discovery of myself as person, as soul. What are some of your inspirations as a writer that helped shape Black Inked Pearl? Again, ‘dreams’, my unconscious I suppose. But, as one perceptive reviewer put it, only someone with my background and personality would have had those dreams. So – my life, my loves, my experiences of the resonances and styles and images of great literature, above all Shakespeare, Rumi, Homer and the Bible. An epic romance about the naive Irish girl Kate and her mysterious lover, whom she rejects in panic and then spends her life seeking. After the opening rejection, Kate recalls her Irish upbringing, her convent education, and her coolly-controlled professional success, before her tsunami-like realisation beside an African river of the emotions she had concealed from herself and that she passionately and consumingly loved the man she had rejected. Searching for him she visits the kingdom of beasts, a London restaurant, an old people’s home, back to the misty Donegal Sea, the heavenly archives, Eden, and hell, where at agonising cost she saves her dying love. They walk together toward heaven, but at the gates he walks past leaving her behind in the dust. The gates close behind him. He in turn searches for her and at last finds her in the dust, but to his fury (and renewed hurt) he is not ecstatically recognised and thanked. And the gates are still shut. On a secret back way to heaven guided by a little beetle, Kate repeatedly saves her still scornful love, but at the very last, despite Kate’s fatal inability with numbers and through an ultimate sacrifice, he saves her from the precipice and they reach heaven. Kate finally realises that although her quest for her love was not in vain, in the end she had to find herself – the unexpected pearl. The novel, born in dreams, is interlaced with the ambiguity between this world and another, and increasingly becomes more poetic, riddling and dreamlike as the story unfolds. The epilogue alludes to the key themes of the novel – the eternity of love and the ambiguity between dream and reality. 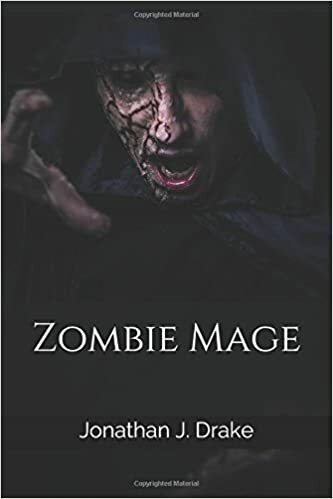 With Zombie Mage Jonathan Drake has moved beyond the tiered story lines of your basic flesh eating zombies and brings a fresh take to the zombie genre. Zombie Mage is the story of Olligh, who is known as a Walker. He is a zombie that can travel the cosmos and transcend time and space. A group of cultists, called the Dark Cloaks, have trapped the Walkers claiming to be helping them find finial death and peace. They enlist Olligh to help them bring back five Walkers that have gone missing in exchange for his and his wife Laura’s final death together and an end to this life as zombies. I found it difficult in the beginning to understand what was going on. There was a lot of shifting from one location to another as well as change in time periods. Going from ancient times to modern and then into the future. I was thrown off a bit at first because there is not much context given. But the story really starts to pick up after we are introduced to the characters and the order of the Dark Cloaks. This brings the story into focus and kept me flipping pages. I was fully invested in the story once we discover that Olligh is a mage and the possibility of magical zombies or, zombie mages, existed. This was unique to me and is a novel approach to the zombie genre. Olligh’s one goal is to reunite with his wife Laura who is also a zombie. She wants nothing more than to be with Olligh as well and makes life difficult for the Dark Cloaks on several occasions in her insistence to be reunited with her love. I felt that this was similar to Romeo and Juliet where they want to be together but circumstances keep them apart. It is sweet that they were so dedicated to one another even in death. Marvin is probably my favorite of the missing Walkers, all that remains of him is a skull, one disconnected eye, and his brain in a jar. This doesn’t stop him from having a great sense of humor and a love of playing practical jokes. His sarcasm adds much needed comic relief to the novel at a time when Olligh is so serious and focused. 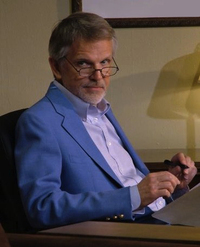 The novel does a famtastoc job showing Olligh’s internal emotional struggle. I felt that Olligh’s struggle was an example of humanities constant struggle to find balance a balance between good and bad while fulfilling ones own selfish desires. The love story that develops throughout the book is well developed and adds a another romantic layer to what is otherwise a bleak genre. Zombie Mage by Jonathan Drake is a fresh twist on the zombie genre. It has all the ingredients of a great story and combines them into a tale that is consistently entertaining. Don’t worry, there isn’t too much gore; Drake often uses humor and sarcasm to accent the gruesome parts of the novel. Overall a fantastic new take on the zombie genre.